It always make me sad when the asparagus season comes to an end. We’ve been picking our own from Rectory Farm at every opportunity. But there are many other PYO’s in Oxfordshire doing the same and all of them are worth a visit – read more on that here. 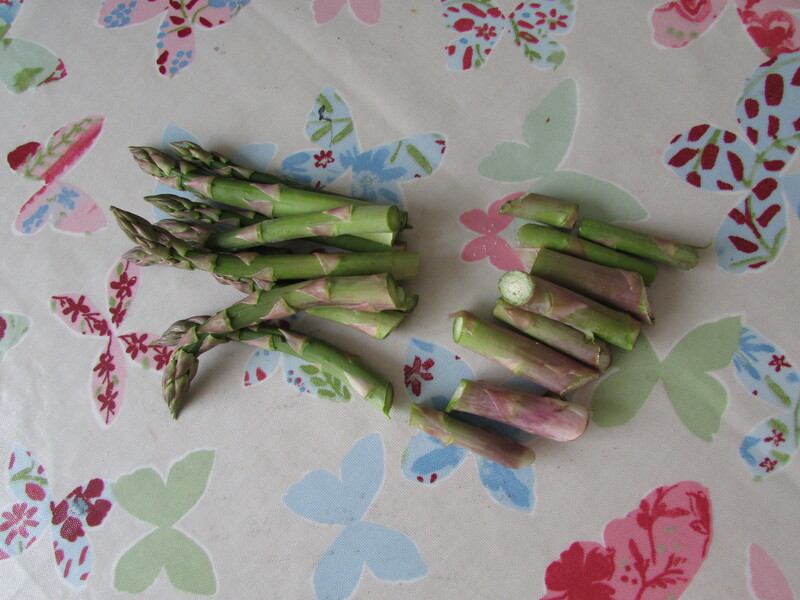 Towards the end of the season the asparagus ends begin to get tough. Not one for throwing things away I’ve been thinking about a recipe I could devise that uses up these delicious and nutritious ends that would have previously gone in the bin. I found that if you chop them up finely and sauté them in a little butter with onion and garlic, that they make a delicious quiche filling. If you got any leftover cheese – a scattering on top really makes these mini mouthfuls a wonderful summers picnic treat. Method – Rub together the butter and flour until it resembles breadcrumbs. Add a few tsp of water and combine until you have a nice ball of pastry. Cover with cling film and put the pastry in the fridge to chill for about 10 minutes. Slice the asparagus ends into small disks and gently fry in a little butter or olive oil with a finely chopped white onion and some crushed garlic. This should take about 5 minutes. In a jug, whist the eggs and milk together and season with salt and pepper. Grate the cheese. Roll out the pastry very thinly on a floured surface. Cut out circles from your pastry large enough to fit the muffin tin. Using some extra butter, grease your tins, and then sprinkle on a little flour. Gently press in a circle of pasty in to each space. put a tsp of grated cheese at the bottom of each one. then add a little of the asparagus / onion filling. Now fill up the cases with the egg and milk mixture. Cook for 12 – 15 minutes on 220C, 350F or Gas Mark 7. 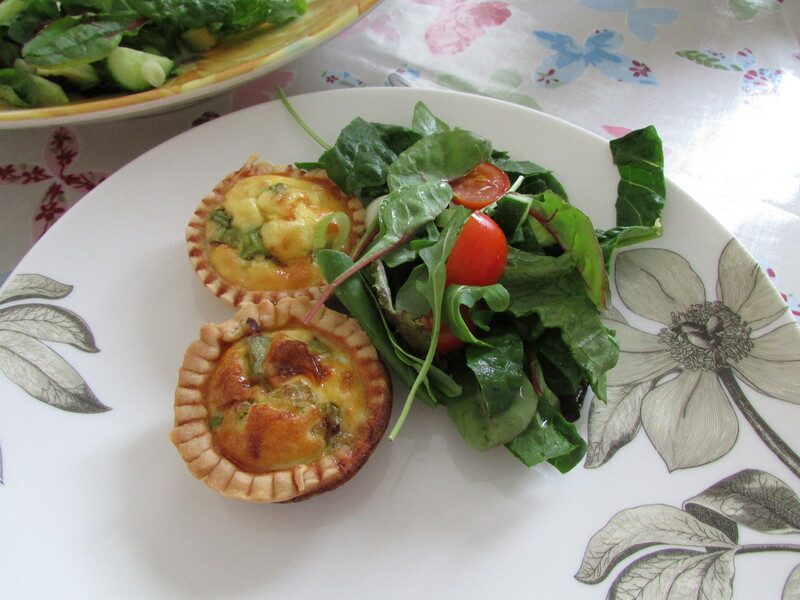 Allow to cook before removing, then serve with a fresh leaf salad. Yummy! This entry was posted in Bargain Bites, Food scrap meals, Low cost Lunches on June 29, 2015 by carolinementzer.